I love the work of Dr. Michael Bird. It just so happens that there is a wonderful article online that is called Michael Bird: how a zealous atheist became a highly recognized Christian scholar. The first book I read by Bird was Are You the One Who Is to Come? : The Historical Jesus and the Messianic Question 1st Edition. “It is historically naive to depict first-century Palestine as ravaged with continual uprisings and to posit some Roman occupying forces as having to put down one messianic pretender after another. Alternatively, it is equally reductionistic to suppose that many of the tumultuous events of the first century were untouched by messianism. The death of Herod the Great led to several uprisings; although things cooled for a while, in the period 4 BCE to 66 CE, there were many socioreligious movements at the time of the procurators that show expectation and hope for God’s miraculous interventions and gradually a spirit of zealotry beginning to emerge. I doubt that we have to wait as long as Simon ben Kosiba in 135 CE to find another messianic leader after the death of Jesus. The following lists indicate messianic expectations that are explicitly titular or implicitly messianic.”-Are You the One Who Is to Come? 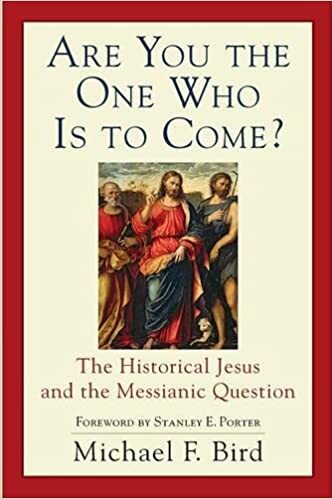 : The Historical Jesus and the Messianic Question, pgs 47-49. “The Gospels are rooted in the Jewish Scriptures. They explicitly function as the continuation and fulfillment of the story of Israel. That is why they are replete with citations, allusions, and echoes of the Old Testament.… The religious content and theological texture of the Gospels is heavily indebted to the worldview, socio-political landscape, and sacred texts of Judaism. Roman biography and Greek legends could refer to various religious literary works such as Delphic oracles or Homer’s Iliad. But for the Gospels, the story and worldview of Israel’s Scriptures are very much what the Gospels are about, namely, the God of Israel inaugurating his kingdom through Jesus the Messiah. It should not raise anyone’s eyebrows to say that the Gospels comprise a form of post-biblical Jewish literature with messianic faith in Jesus as its primary content. 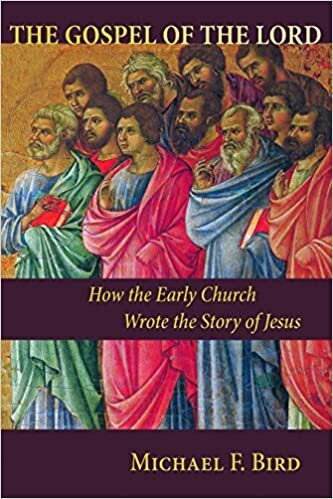 The main point of contact with the Gospels is that Jewish biographical literature contains a theography, a story about Israel’s God, working through an agent of deliverance, such as a prophet, king, or teacher. The protagonist leads the Jewish people at a time of national crisis or performs some miraculous deed at an important moment in Israel’s history. The Gospels possess a theological worldview, a geopolitical setting, didactic content, and a deliberate replication of Old Testament literary types that make some kind of connection with Jewish sacred literature irrefutable.”—-Michael F. Bird, The Gospel of the Lord (p. 229). Wm. B. Eerdmans Publishing Company. In my opinion, Bird is one of the most capable scholars today. His writing and his ability to not overstate his case on many topics is something to be admired. I highly recommend both of these books. You will not be disappointed! Previous Article Are Miracles and Science Compatible?